Good morning darlings! When I set out to create a manicure for Mani Monday I like to make sure its always different cause who wants to see the same thing? This weekend I tried to do a matte lavender manicure then thinking my nails were dry and did the dishes... yeah, nails were NOT dry and I ended up murdering that manicure LOL so I went back to the drawing board but due to time constraints (we had a graduation party to go to) just ended up putting China Glaze's Son of a Peach and going. Then on Sunday the creative light bulb hit! Why not do an ombre? After all Saturday was the Summer Solstice so why not create a perfect summer ombre?! So I busted out my China Glaze Flip Flop Fantasy and proceeded to create perfection! (okay, I'm gloating but you know when a manicure actually comes out exactly like you imagine in your head and you have that strange urge to do a touch down dance? No...? Maybe that's just me LOL) But regardless I am so thrilled with how awesome my nails turned out! Oh, perfect for summer! I love this! That's gorgeous. I really want to try an ombre design! Such a beautiful mani. I love the colors together, so complimentary and perfect for summer. Beautiful! That is beautiful and just my style! I need a how-to though; have no idea how to recreate this look. You do deserve a touch down dance - this is fabulous! 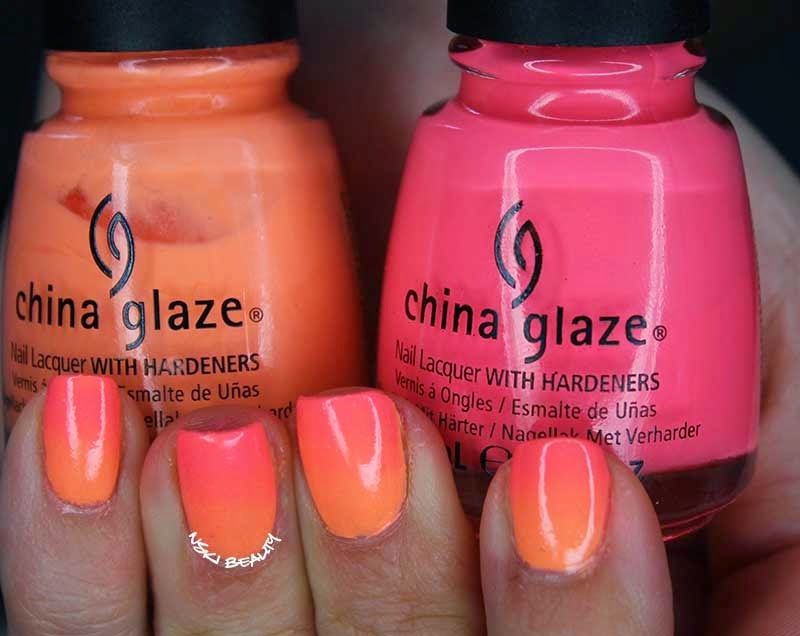 Oranges and corals are my favorite colors, and the combination is lovely. I've tried this effect with tutorial help and I think I use colors that contrast too much because I can't quite get the blend! I love the colors for Summer! First - any brand that names their nail polish 'Son of a Peach' is amazing. Second, love the ombre look! I've yet to try it but I'm thinking I will sometime this summer! So pretty! Loving the ombre. How do you do that? 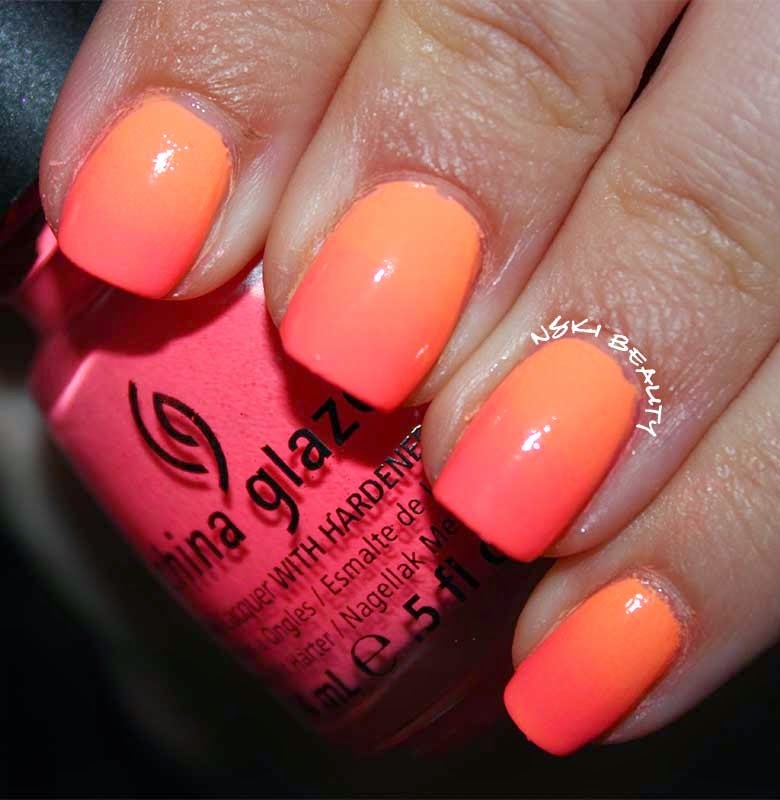 This style of mani is so fabulous! Super pretty. I will keep a photo on my phone to show my manicurist. I don't think I can make it look that nice myself. I want a dress that looks just like that! Absolutely beautiful! Oh wow, I love those colors! They are so beautiful and vibrant. How fun! You make that look so easy. I have a feeling I'd have a clear line between the colors. Nice job. 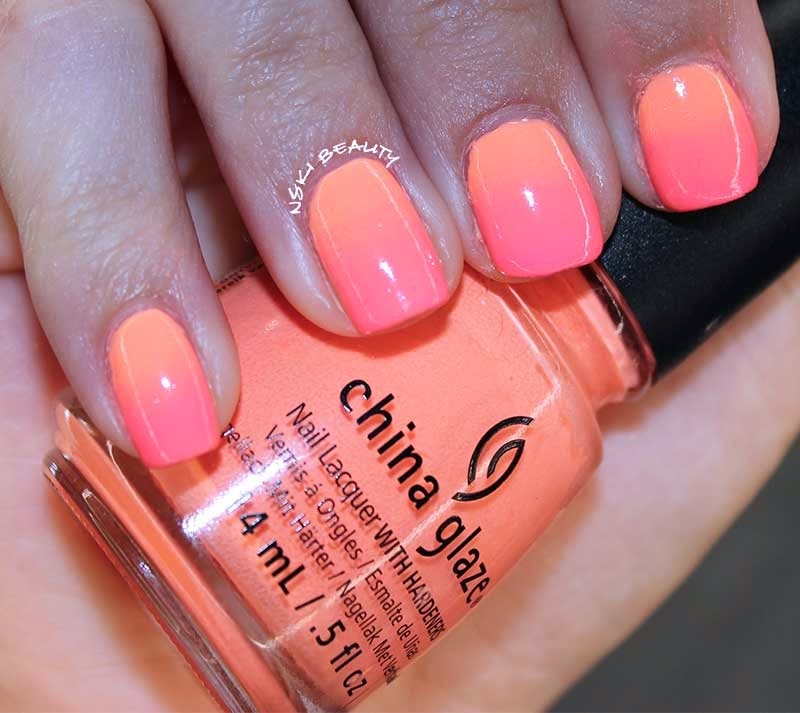 This is a gorgeous mani, I'm loving it. I need that orange shade in my life. 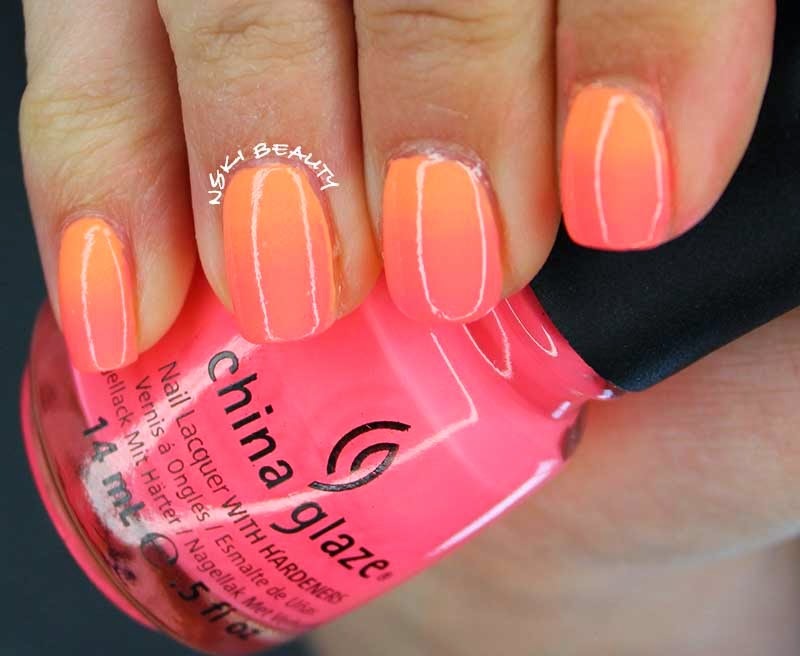 I love the colors you used for this ombre mani! 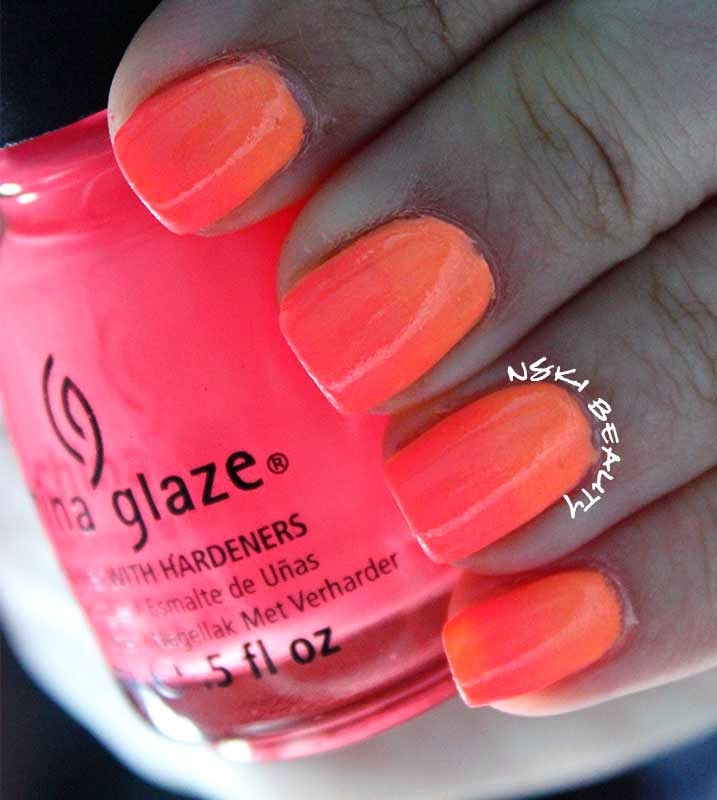 LOVE LOVE LOVE this mani! I love love love this. I don't think I could manage to do it myself though, I have the worssssst nail skills ever haha!